The Canadian Forces pilot who ejected from a fighter jet just moments before it crashed and exploded suffered back injuries but is expected to make a full recovery. "I feel extremely lucky considering the magnitude of the accident — Martin Baker is my new best friend!" said Capt. Brian Bews, 36, in his first public statement since Friday's crash in Lethbridge, Alta. Martin Baker is the brand name of the ejection seat in the CF-18 Hornet that Bews was piloting. 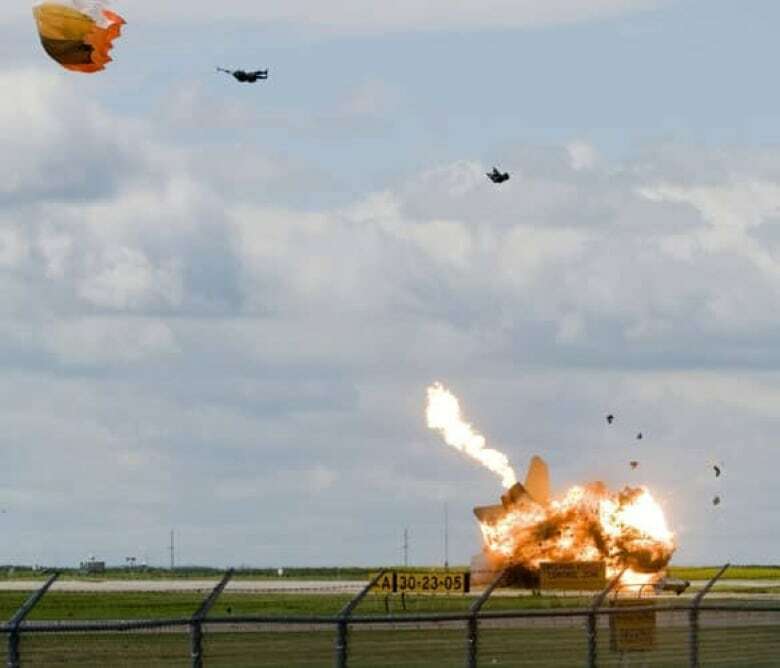 He was making a low-speed pass at low altitude on a practice run for the Alberta International Airshow when he had to eject from the jet seconds before it smashed into the airstrip at the Lethbridge airport. Bews suffered compression fractures in three vertebrae and will be wearing a back brace for a few months, the Department of National Defence said Monday. "Given the incredible amount of force in the ejection sequence, this type of injury is very common in aircrew who eject," said Maj. Rachel Morrell, a military surgeon. She said Bews will likely make a full recovery but there's no timeline on when he will be able to return to flying duties. "I will be concentrating on rest for the next while," Bews said Monday. The pilot thanked first responders for their quick reaction after the crash and the staff at the Lethbridge hospital where he was taken. "I would also like to thank my family, friends, my demo team and my air show family for their amazing support since the accident," said Bews, who is from Eatonia, Sask. The pilot learned how to fly in Okotoks, Alta., and joined the Canadian Forces in 1999. 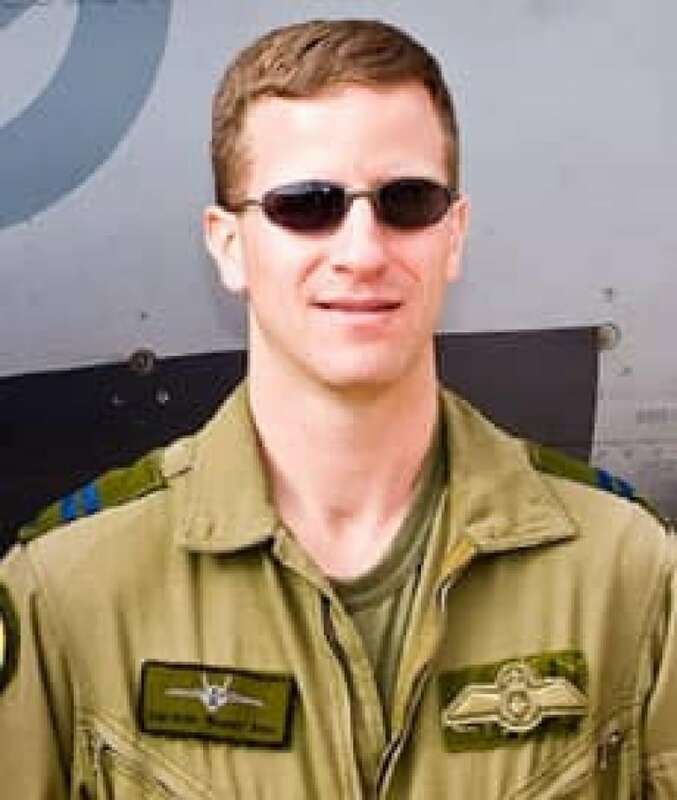 Five years later, he achieved his dream of being assigned to fly a CF-18 Hornet, according to Bews's military biography. The cause of the crash is under investigation. Bews was flying a CF-18 Hornet designated for air shows and demonstrations. Canada's aging fleet of CF-18s recently went through a $2.6-billion upgrade. But the Canadian government announced earlier this month that they will be replaced by the F-35 Lightning II Joint Strike Fighter at a cost of $9 billion.